We recently got to have a chat on the music industry and some of our influences with the good people at American Pride Magazine. You can check it out here, or over in our press section. We would like to thank Jacqueline Jax and AVA Live Radio for doing a written feature on us. You can check it out on AVA’s website as well as our press section. We were also on the air November 2nd for Episode #382 of Behind The Music, hosted by Jacqueline Jax. Check it out below. We would like to thanks Lindsey Newman and all the kind people at CanadianBeats Magazine. You can view the article “Here”, as well as in our press section. Thanks again. Cheers! We would like to thank English Phil and CHUO 89.1 FM for having us join them on Live Sessions. We had the opportunity to perform a few songs on air and stick around for a chat. For those who would like to check it out, the interview has been posted in the press section. For this show we dusted off and played a stripped down version of our song, Bigger Than Me. We posted this track in the media player and we hope you enjoy it. Once again, thanks to Phil and the great people at CHUO. We had a great time and hope to do it again one day. Check out an album review and interview that we did for Fireworks Magazine. 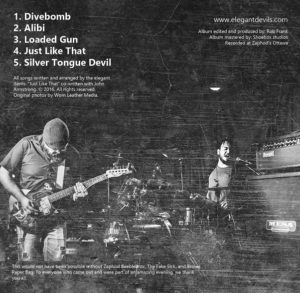 One of our tracks was also included on the companion CD that comes with the most recent issue. We would like to thank Fireworks for a great opportunity and hope we get to do it again sometime. Head over to the press section to read the article. Thanks to everyone who stopped in at Live on Elgin last Tuesday. It was a great time and we are glad we got to share such a fun evening with all of you. We look forward to doing it again soon! 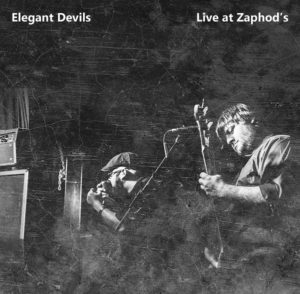 Our new EP “Live at Zaphod’s” is now available. You can pick it up on iTunes, Google Music, CdBaby, Amazon, and more. Physical copies of the album are also available. This recording serves as a glimpse into us doing what we enjoy most of all. Being on stage and in front of a crowd. We hope you enjoy this EP and it helps tide you over while we continue to work on what’s next. Cheers!